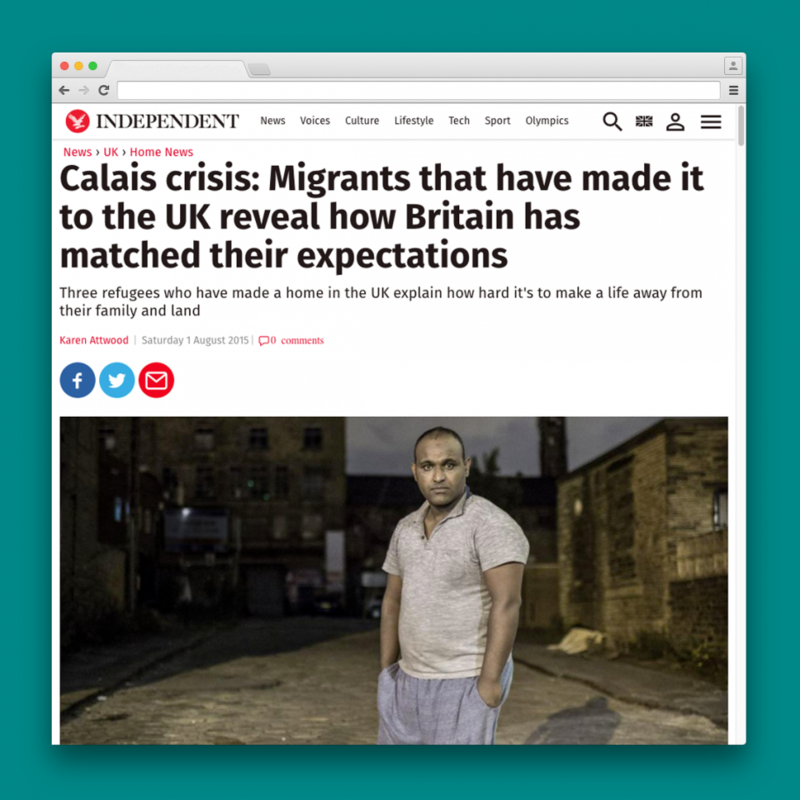 How does the perception of the UK match up to the reality for migrants once they get here? We asked three people about their experiences. Ramelle, 34, came to the UK alone in 2003 after fleeing the Democratic Republic of Congo where family members, including her mother, had been killed. She was denied asylum several times, and lived on the street in London before spending years sofa-surfing in Liverpool. With the support of the British Red Cross, she has completed her degree in biotechnology, and is working as a carer in Leicester while looking for work in the science sector. She was granted indefinite leave to remain in 2010. Abdulrahim Ali, 29, came from Eritrea in February and is living in Bradford after being granted asylum. A conscript, he spent eight years in the Eritrean army, before fleeing to Sudan and later Libya. He paid people-traffickers $4,000 to get to Italy, then travelled from Calais by hiding in a truck. “In the military, I was like a slave. When I went to Sudan, there was no escape as they can come into Sudan and take you back. “When I arrived in Calais it was winter. It was really cold. I spent three months there. There was no food, no clothes. Some charities try to help. When I left Eritrea, I didn’t know anything about England or Germany or even where they were. Some people try to get asylum in France but are rejected. Dr Chefena Hailemariam is a former lecturer and lead researcher in Sociolinguistics in the English Department at the University of Asmara in Eritrea. He came to the UK seven years ago on a fellowship, and applied for refugee status after the political situation worsened in Eritrea and his university closed. He was granted asylum a month after applying. His wife and children joined him in Manchester three and a half years ago. “It has been difficult to rebuild my career here. Although I had some associations with a few UK higher education institutions, there is a lot of skilled manpower in the UK and my field is extremely competitive. Also, connections are important. I do a combination of interpretation work and consulting and I keep up with research in my area of study.